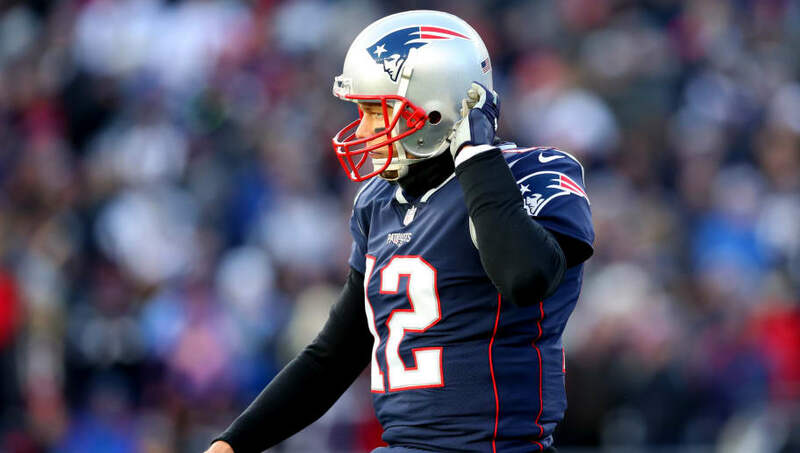 Tom Brady pretty much owns every quarterback record in the book at this point in his career, but there's still one that's eluded his grasp until now. However, if he happens to pull it off, he'll share an NFL record with the unlikeliest of quarterbacks. With a win against the Kansas City Chiefs at Arrowhead this weekend, Tom Brady would tie Mark Sanchez, of all people, for career road playoff wins. Tom Brady has to win at Kansas City next week just to TIE Mark Sanchez in career playoff road wins. SO close to becoming the GOAT. It's strange to see a quarterback of Sanchez's caliber above any record list that Brady's on, but it's not like the Pats' signal-caller has had many opportunities to add to his record away from home thanks to how dominant his past teams have been in the regular season. Brady's played in just seven career road playoff games in 15 seasons prior to 2018 and hasn't won a road playoff game since the 2006 season. Overall, Brady is 3-4 in postseason contests on the road. The Patriots will head into hostile territory as underdogs against the Chiefs. However, win or lose, at least Brady won't have to worry about Sanchez extending his record any time soon. Join FanDuel Sportsbook Today New users get a risk-free bet up to $500. Join Now. Mike Esposito is not a FanDuel employee. In addition to providing DFS gameplay advice, Mike Esposito also participates in DFS contests on FanDuel using his personal account, username espo6891. While the strategies and player selections recommended in his articles are his personal views, he may deploy different strategies and player selections when entering contests with his personal account. The views expressed in their articles are the author's alone and do not necessarily reflect the views of FanDuel.